Have you seen our Tripp Trapp® Promotion? 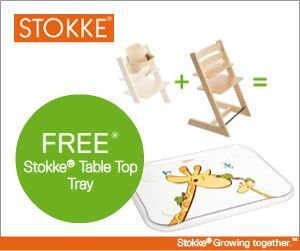 Buy a Tripp Trapp® chair and a Tripp Trapp® baby set and get a Stokke® Table Top at no extra cost. The offer is available from participating retailers while stocks last until 30th October 2010.